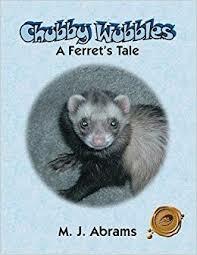 I authored a children’s photo picture story book titled “Chubby Wubbles: A Ferret’s Tale” It wasn’t easy writing a book about ferrets, but very satisfying. 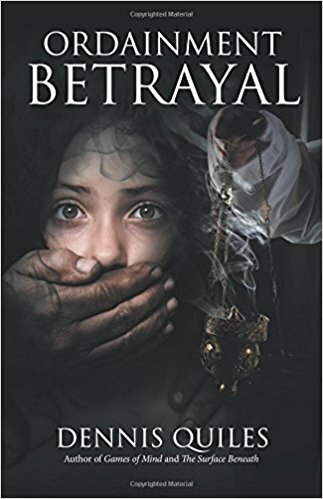 The storyline along with the corresponding photos makes my book more realistic than a fantasy novel that has animated illustrations. It’s a story that shows the different emotions of Chubby as the story progresses. Most children are unfamiliar with ferrets, and don’t know much about them. They may think of ferrets as an unusual pet that resembles a squirrel. Actually ferrets have personality traits which are similar to cats and dogs. My book relates to how a ferret behaves and interacts with other animals and humans in different situations. It also gives an idea of how to take care of a ferret’s physical and personal needs. Ferrets are naturally quiet and curious. They also have a short attention span, and tend to sleep a lot. Ferrets need plenty of attention and playtime, but can get stressed out if neglected or left alone too long. Once you get to know them you’ll see that they can seem stubborn and aloof, yet playful and funny. Ferrets are furry little bundles of joy that are easy to care for, and best of all make wonderful pets! Some things to take into consideration if you plan to get a pet ferret include making time to play with your ferret and do things together. My book gives readers an idea of their playfulness and curious nature. Ferrets have a tendency to sometimes get into trouble, because of their personality. They are elusive, and can squeeze into tight spots. They are also little thieves. They will pick up anything they can, and carry it off to their special hiding places. Sometimes it’s better for them to leave well enough alone than to venture out of their comfort zone. Things are not always as they may seem to them. It may not be easy for them to find their way back without help. Lifestyle changes like moving into a new home or environment can put stress on pets as well as humans. Pets need time to adjust and become familiar with their new surroundings as well as any new owner whom they may not be accustom to. Also, having the means to be able to support pets in the right way and taking care of them properly by not neglecting or abandoning them is important. My book will teach many valuable lessons about taking care of pets that depend on their human companions for wellbeing and love. Chubby Wubbles is a great story as well!